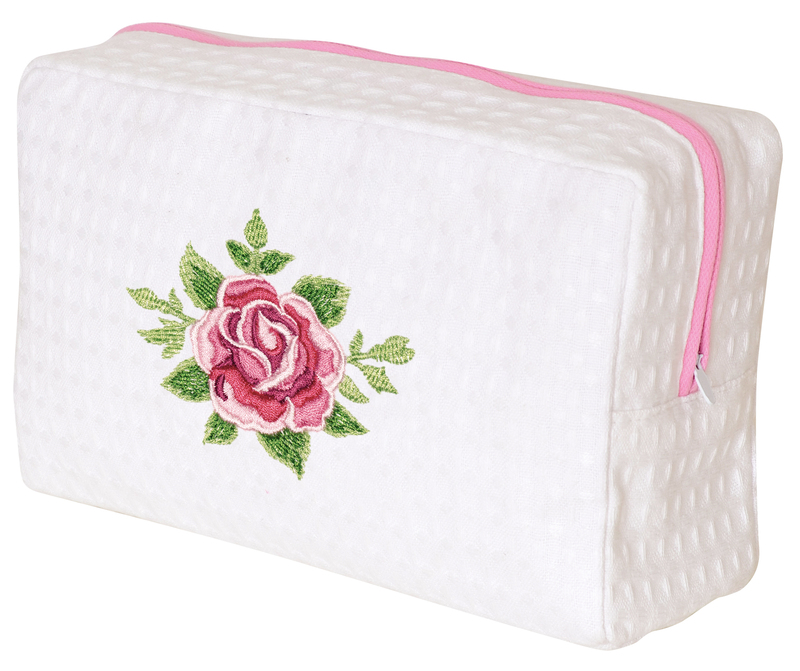 Cosmetic Bag in a luxurious cotton blended waffle pattern and embellished with a delicately embroidered rose. Fully lined and waterproof with a zip. The Bella Rosa Collection by Ogilvies Designs was designed in Australia and features luxurious bathroom gifts in a waffle weave. This collection was create to pamper and make the ideal gift.